One of the most important things about 19th century streetcar conductor Elmer Whiting was his diary – a snapshot of 1894 Chicago written by a white male with absolutely no connection to a major war. The reason the museum even acquired the diary is due mostly to luck. In 2011, an antiques dealer bought of chest of drawers in Aurora – upon opening it, he discovered a streetcar driver’s record of the city’s goings on in 1894. A little gift from over 120 years ago. Like many human lives, the diary contains a mix of day-to-day routine and larger, citywide transition. “Elmer,” as Alter refers to him, was a man who liked a regular 10-cent shave as well as a weekly splurge on a 25-cent glass of wine. In 1894, he would have been in his 30s, married, childless and living in a subdivision of East Garfield Park, referred to at that time as Couch’s Subdivision – a very white, middle-class area that felt more like a suburb when compared to the loud, dirt-filled hub that was downtown Chicago. The city was in a state of great flux during the time Elmer kept his diary. The Great Chicago Fire had burned through just 23 years prior and new “L” lines and tunnels were being added. In 1894, Elmer would have taken tickets on a horse-drawn streetcar along Western Avenue, his route. Within his career, he’d watch the horses disappear as electric lines moved in to take their place. And, though he didn’t go into great detail, Elmer wrote consistently about critical 1894 events like a local fire that swept through the Columbian Exposition fairgrounds in July 1894, as well as the Pullman Strike, a nationwide railroad boycott that majorly disrupted rail traffic throughout the Midwest. But he also wrote about plain-old 19th century fun, like seeing magician Herrmann the Great at the Chicago Opera House, kicking drunks off the streetcar on Christmas Day and losing a turkey raffle just before Thanksgiving. “Apparently in the 1890s, turkey raffles were a huge thing in Chicago,” says Alter. “The city tried to outlaw them because it was men like Elmer who would go, trying to win a turkey on Thanksgiving eve, party and then create, kind of, mini riots around the city. Elmer doesn’t strike me as much of a rioter, but he certainly must have enjoyed the turkey raffle." It was Alter who envisioned Elmer’s story as fitting digitally within the Google Cultural Institute, yet another arm of the search engine conglomerate – this one a nonprofit initiative started in 2011 that partners globally with cultural organizations. So far in Chicago, the History Museum and the Art Institute are the only two cultural institutions to jump aboard the Google Cultural Institute bandwagon – a move that History Museum President Gary Johnson was all about, according to Alter. This is the History Museum’s second project with Google Cultural Institute since 2014 when the museum initially joined (the first revolved around the 1968 Democratic National Convention). 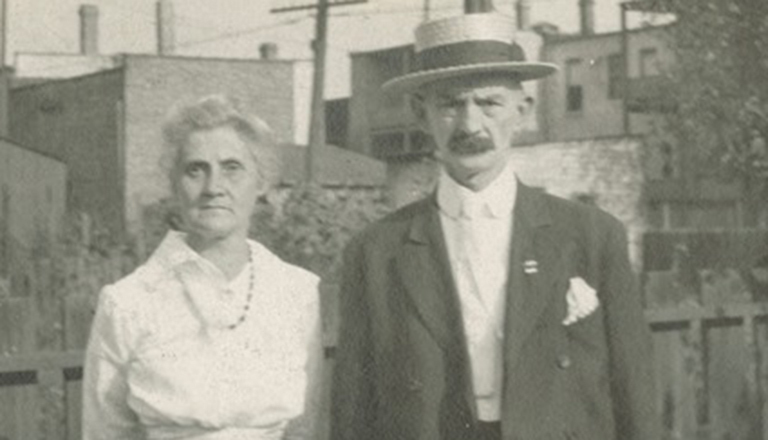 Online visitors to the Elmer exhibit can see a photo of Elmer and his wife Lou listen to more modern recordings from a former Chicago Transit Authority train operator, explore old landmark sites using Google maps, and view historical photos of Chicago during the late 19th and early 20th centuries. Anyone with access to a computer or smartphone can check out the Elmer exhibit – it lives online, outside the museum’s traditional exhibitions. The History Museum also plans to incorporate the digital experience into Chicago 24 – a weekend of tours which will highlight Elmer on May 14. At first glance, the small, formaldehyde-soaked Evarra tlahuacensis doesn’t come off as a terribly striking fish. But the little minnow is actually the only remaining specimen of its kind on Earth. A beetle collected by Charles Darwin was recently discovered at the Field, which is in the process of cataloging its 12 million insect specimens – the museum's largest collection.